Hand-washing is an important task for all food service employees to ensure you’re serving safe food. Harmful bacteria or pathogens are found on almost everything you touch. People can carry them in or on their bodies, and pick them up when handling raw food or touching objects that have been previously contaminated. After your hands are contaminated, these harmful organisms can very easily spread to the food you serve and cause illness to yourself or, even worse, your customers. Apply soap to your hands and lather vigorously for at least 20 seconds. Pay particular attention to fingernails, fingertips, and in between fingers. Water is necessary! Although some hand-care products claim to be effective without washing or rinsing with warm water, hand-washing without water doesn’t effectively remove soil, grease, and bacteria/viruses. Dry your hands with disposable towels or a blow-dryer. 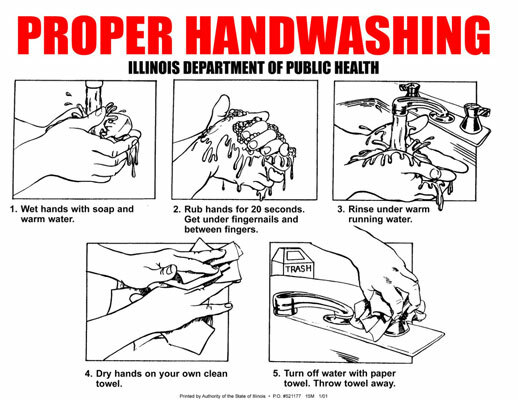 Hand-washing regulations vary from state to state. Contact your local health department or consult your state’s food code for more information.